Masters Wood Finishing doesn’t only professionally offer quality kitchen, vanity, and furniture refinishing. 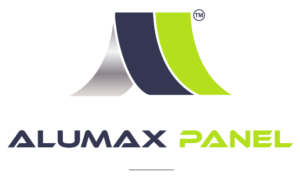 We have partnered up with our friends at Alumax Panel™ to offer quality decorative wall panels and a wide-range of backsplashes. “The largest and most unique selection of Aluminum Composite Mosaic Tiles. Save significant installation time and labour cost with our self installable peel and stick tiles. No grouting, no sanding, no mess. water proof, maintenance free, and durable. Comes with a 10 year warranty! There are much more peel and stick mosaic tiles to choose from. Click on this link -> https://alumaxpanel.com/Assets/Alumax-Metal-Mosaic-Tiles-Brochure.pdf for more. However, note that if you choose one from the brochure that is not from the 6 listed above, they are special orders; meaning we don’t have them in stock and we will need to order them.